Hi everyone, I have a card I would like to share today. 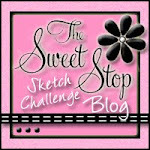 The sketch I used is from The Pixie Cottage challenge # 15. I have used a digital from Busy Beauties Boutique (BBB). 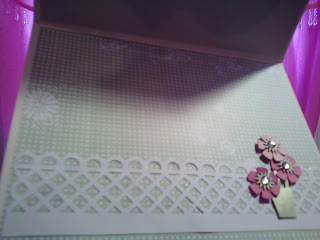 Cardstock is by Recollections and background paper is from Deja Views the Sharon Ann little ones collection. All coloring is sharpie markers and chalking from inkadinkado. Fairy's wings and dress was stickled with lime green stickles and baby blue stickles for the water droplets off the flower. The fence is a MS border punch. Sentiment is a Sandylion Essentials sticker. This is the inside of the card. The sticker is also a part of the sentiment on the front. It is for several challenges. I finally did one that qualifies for more than one challenge at a time! Busy Beauties Creatiion Station - Go green with a twist. I recycled the rectangle behind the world's best mom sticker. Now it looks like a focal point for the saying. 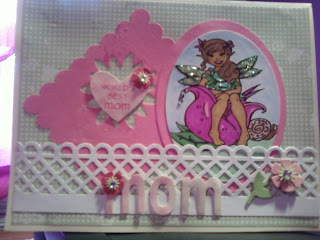 The Pixie Cottage Challenge #15 - using the sketch and Mother's Day or Special Lady theme. Cricut Cards Challenge - color challenge for a Mother's Day card using the colors pink, green, & white. Lovely card and I really like the use of that punch. 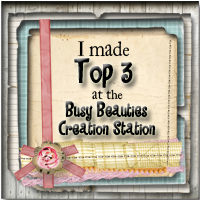 Thank you for playing along with us at the BB Creation Station!!! very pretty! i love that u decorated the inside too! thanks for playing along at the Pixie Cottage this week! This is so pretty Mary. The papers are beautiful. 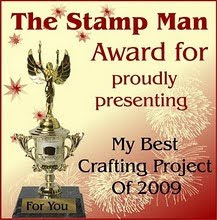 I think the image is fab and you've decorated it beautifully both inside and out. So soft and pretty Mary! I love the colors and the sweet sparkle you added to her wings. So pretty! Thanks for playing along at the BBB Go Green Challenge! great colouring and I love the little flowers. Thanks for joining the pixiecottage this week. Mary, this is BEA-U-TIFUL!!! Gorgeous card! And I love that you did up the inside too!! You have colored this image up to perfection and I'm SO glad you played with us at the BBB for the Go Green Challenge!